B.Sc. (1974), LL.B. (1977), LL.M. (International Law), (1979) all from Mysore University, M.A. (Political Science and Public Administration) (1984) Karnataka University, Ph.D. (Intellectual Property Rights)(2000), Mysore University. He Joined the NLSIU as Professor (2002). 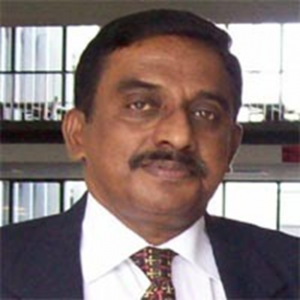 Presently he holds the Intellectual Property Rights Chair [IPR Chair] of the Ministry of Human Resources and Development at the NLSIU, is the Coordinator of the Centre of Intellectual Property Rights Research and Advocacy [CIPRA] at the NLSIU, and the Team leader of the FSTP project. He is member of different Expert committees constituted by Indian Intellectual Property Office, National Biodiversity Authority, Protection of Plant Varieties and Farmers’ Rights Authority, Copyright Office and member of Institutional Ethics Committees. His areas of specialization include Intellectual Proper ty Rights Law, International Law, Criminal Law and Law of Evidence. His main area of research has been Law of Copyright, besides working on other IPRs, was part of research team involved in publication of March of IP Law Newsletter and is involved in organising workshop, National and International Conference as a part of his work in CIPRA and MHRD Chair on IPR. Ms. Sadhvi C. Kanth completed her B.A. LL.B., at Shri DharmasthalaManjunatheswara Law College, Mangalore in 2010, she also has a PG Diploma in Cyber Law, Mangalore University. Further, she completed her Masters in Law with specialization in Intellectual Property Law from School of Law, Christ University, Bangalore in 2012. Her main area of research interest has been on Geographical Indication of India, Protection of Plant Varieties, Biodiversity Laws, besides working on other IPRs.